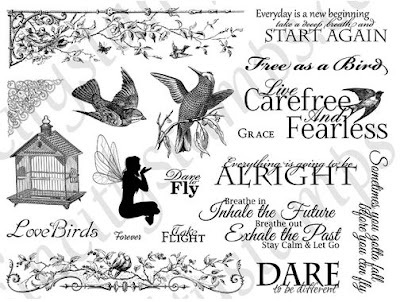 I love creating unique backgrounds because it is so much fun to emboss and then watch as the image pops out once you apply ink over it. 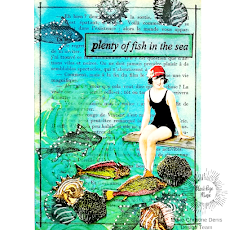 You can easily create beautiful backgrounds by repeatedly stamping a single design and then heat embossing the image. Use a sponge applicator to add 2-3 shades of pigment inks over the embossed design. Go ahead and have a little playtime...you can build up a stash of backgrounds to pull out when you need that last minute card. Stamp the flourish repeatedly on the left half of the card front with pink pigment ink. 2. Adhere pink cardstock to the inside panel leaving a narrow white border. 3. Wipe white cardstock with an Anti-Static Bag (or cloth bag of cornstarch) to prevent static cling attracting stray grains of embossing powder to speckle the paper. Stamp the flourish stamp repeatedly with Perfect Medium. 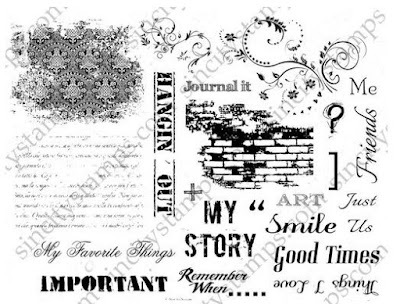 Be sure to overlap the edge of the paper and to rotate the stamp with each new impression to fill the page with a random design. Apply white embossing powder, remove the excess powder, and heat set. 4. 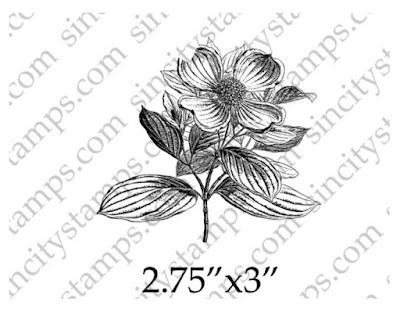 Stamp the flower image twice with green pigment ink. Use watercolor paints to shade the leaves on one image. Next, paint the petals of the second image and fussy cut. Assemble the flower with dimensional foam tape and matte with patterned paper. Tear the lower edge of the matte. 5. Apply pigment ink over the embossed design with a sponge applicator. Matte with white cardstock. 6. Adhere the matted flower image by applying adhesive only to the left front half of the panel. You can also join our Fan Page HERE. Breathtakingly STUNNING Karen - I'm just AWED. Xj.